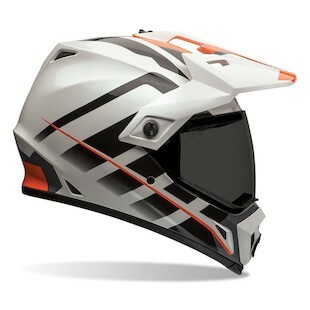 Bell MX-9 Adventure Raid Helmet: KTM Riders Unite! It’s never bad news when a helmet comes out with new color options. So when Bell announced a new graphic for their MX-9 Adventure helmet, our ears perked up. If you like your orange KTM, we have good news. The first of the new color schemes is Bell’s “Raid” graphic for the MX-9 Adventure helmet. It’s black. It’s white. It’s orange. What more could you ask for from the Bell MX-9 Adventure Raid helmet? Did you spend all your dough on a brand new 1190 Adventure R, but forget a helmet? $600 too much to spend on a brain bucket? Luckily Bell has you covered with a color-matched lid and an affordable price. Hip hip, hooray! Who says you can’t teach an old dog new tricks? Dumb people, that’s who. Flying in the face of convention, Bell has released two new graphics with all the enthusiasm they could muster.